For the past 6 years, he’s been developing technology solutions building the www.wemakedancemusic.com platform which opened the door to a completely new market of products that were not known beforehand. We Make Dance Music is a platform for artists to sell their projects and sounds to producers around the globe while retaining 100% ownership of their music (DAW templates, sounds, and stems). 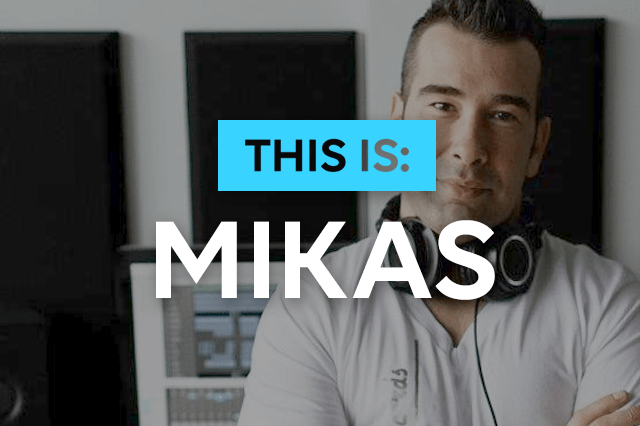 Mikas is also an audio engineer, producer & founder of Progressive Groove Records. Established in July of 2012, We Make Dance Music is a trusted community marketplace for producers, musicians and singers to discover, buy and sell unique music project files around the world. Whether a template to spark inspiration, sounds to enrich your production, or music files for your media project, We Make Dance Music allows people to share their ideas and passion for music in over 125 countries at any time. Watch Mikas' interview below to learn more about the story and the vision of WMDM. Sparking inspiration and helping producers stay creative is one of the things we share with WMDM. Check out Mikas' first impression of our AI beat machine Regroover and follow the link in the description to download a Free Logic Pro X Techno template! "We see a lot of potential here, e.g. inserting a loop from your favorite song and building some cool mash-up kits. We went down a different road and used a part with minimal drums and melodic synth to see what we can do"
Visit wemakedancemusic.com and discover new ways to monetise your music.